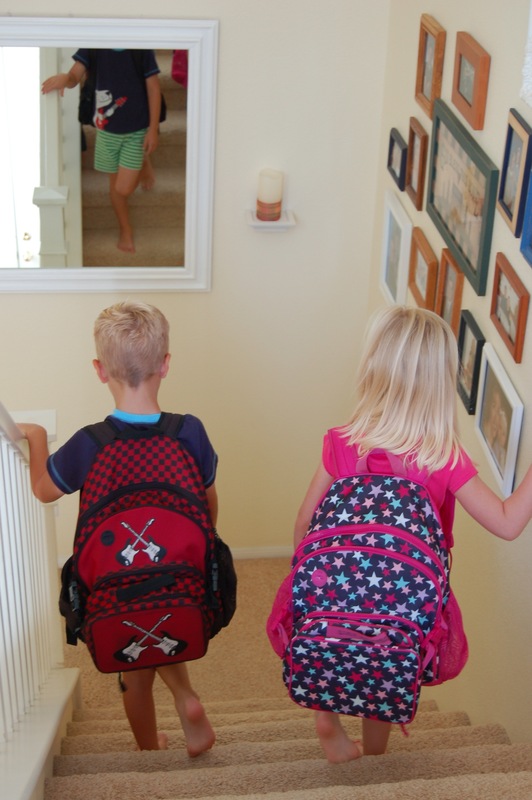 We’ve got the backpacks packed and the first-day-of-school outfits picked (is it weird that my son and daughter want to be matching the first day??). All these preparations have got me thinking about how strange it still is to be on the parent-side of things. If you’ve read the story behind Throne of Grace (you can find that here), then you know that I used to be an elementary school teacher. Year after year I anticipated the start to a new school year and worked to establish good relationships with new families. The majority of those relationships were fabulous from the start, some required a little amount of massaging, and then there were those that I felt I was never able to win over! Now I’m on the other side of the fence and I pray each year that I can be the blessing to my children’s teachers that so many wonderful parents were to me. 1) Pray for the teacher! (And while you are at it, pray for your child’s classmates, too!) Pray by name if you can. Start praying now even if you don’t know names. When you meet the teacher, let him or her know you have been praying. If the teacher is a believer, it gives you a great opportunity to connect right from the start on a spiritual level. If he or she is not a believer, you now have a chance to share your faith and open up doors for spiritual conversations down the road. 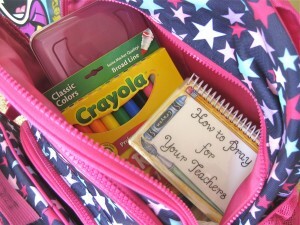 Throne of Grace’s prayer card set, “How to Pray for Your Teachers” (available here) is a great tool to help you pray consistently. 2) Assume the best about the teacher. 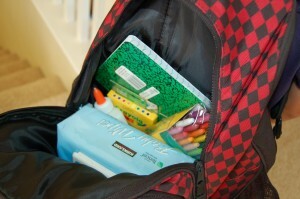 Each year as a teacher I would get a new list of students and many of those students came with “baggage”. They had been labeled by previous teachers as behavior problems or “unmotivated”, etc. I was determined to give each student the grace they needed to be able to start the year with a clean slate. In the same way, I need to do that for my child’s teacher. More often than not, I found that the student who had been labeled trouble in the past, reacted totally different to me, our classroom environment, and the new mix of students he or she was with. Sometimes a little maturity went a long way! Put aside the reputation that precedes the teacher, put aside first impressions, put aside what your neighbor’s sister’s hairdresser “knows” about the teacher and give them grace to begin a new year. 3) Along those same lines…Avoid the gossip gatherings and the complain train. Make a choice to avoid the gossip gatherings and stop the complain train in its tracks. Instead, be aware of how a little salt and light goes a long way. 4) Establish a partnership with the teacher and keep a unified front before your child. Remember that even if methods are different, most likely, you have the same goal in mind. Where there are differences, let respect for the teacher’s authority prevail over your desire to be right or to have things done your way, as long as there is no issue of biblical compromise. I couldn’t resist including this cartoon that has made its way around the Internet several times over. 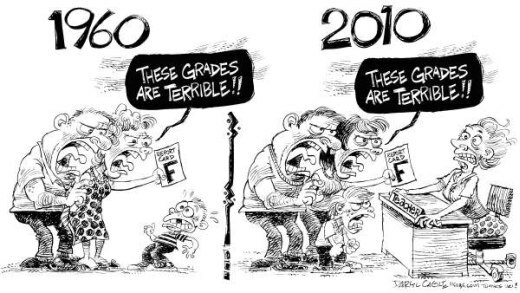 Sad, but true, how times have changed! Set yourself and your family apart as work together as a team with the teacher. Seek to fill the teacher’s actual needs, not just do the “glamorous” jobs. Be flexible to be used where you are really needed! I remember how often parents clamored for the jobs working with the students in the classroom, or being the field trip chaperones, and library helpers – when what I really needed was someone willing to make photocopies or file papers or scrub cubbies! Even if you are a working parent or have younger siblings at home, there are many odd jobs you can do to lift the teacher’s burdens. Offer to buy needed supplies, take papers home to grade or collate, offer to make phone calls or send email reminders before a class party or field trip, or do some prep work for a craft at home. Demonstrating the heart of a joyful servant will go a long way in establishing yourself as a blessing to the teacher. Thinking through these tips has excited my heart for the new school year, and I hope it has yours. Got any more tips to add to the list? We’d love to hear them! As usual, Molly, this is terrific advise for parents. As a teacher, I so appreciate the emphasis on staying off the “complain train.” So much damage is done through gossip, and it always gets back to the teacher! I would remind parents to be careful what they say about their child’s teacher in front of the child, because your child WILL repeat it in class!!! Always show respect for the authority of the teacher, even if you disagree with him/her. 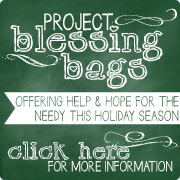 And if a problem arises, be prepared to give the benefit of the doubt and to show GRACE. Always take complaints directly to the teacher first, rather than the principal. Then. if you don’t get a satisfactory response, seek help from the principal. You have gotten me excited about returning to find out who my new kiddos are this year!